The South Congregational Church at the corner of Main and Buckingham Streets in Hartford, around 1911. Image from Some Old Time Meeting Houses of the Connecticut Valley (1911). 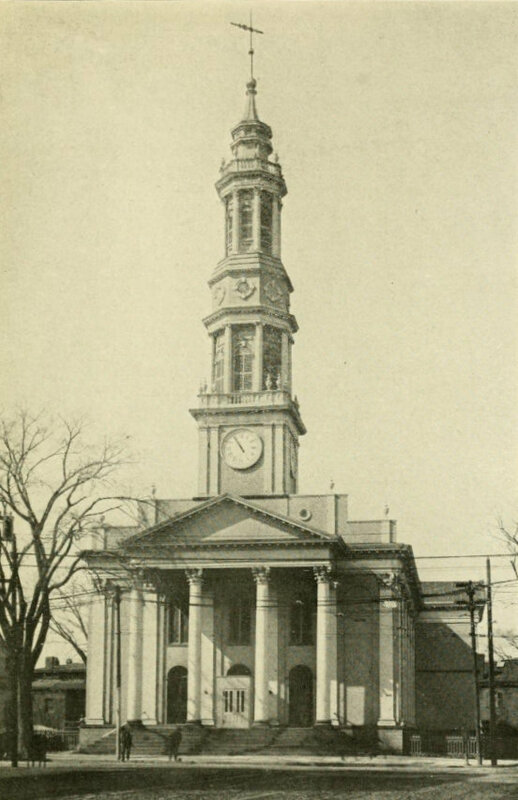 Hartford’s Second Church of Christ was established in 1670 following a disagreement over how the First Church should be governed. The new congregation built their own meeting house at the corner of Main and Sheldon Streets in the southern part of downtown Hartford, and in 1754 they relocated to a new building at present-day Buckingham Street, where George Whitefield preached the first sermon in it. The current church building was completed in 1827, with a blend of Federal and Greek Revival architecture that is very similar to the First Church building, which was built in 1807 about a third of a mile north of here on Main Street. Like the First Church, this historic building is still standing, with few changes to the exterior over the years. 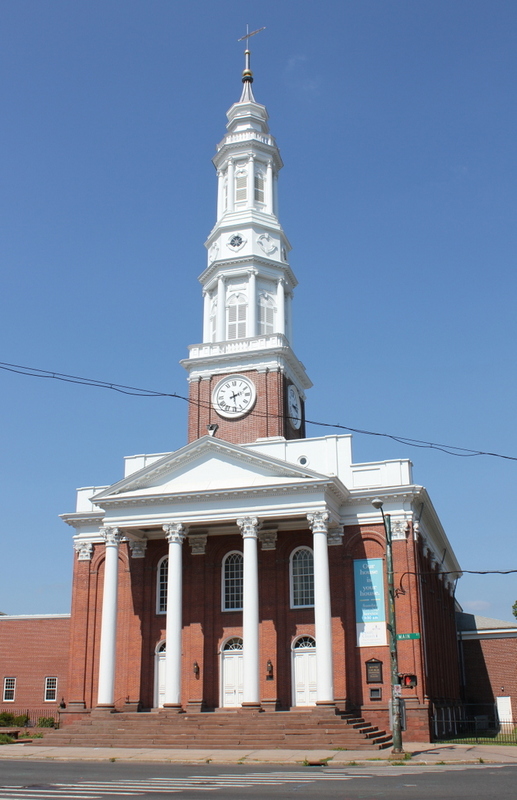 The nearly 350 year old congregation, now known as the South Congregational Church, still meets here, and the building is listed on the National Register of Historic Places.